In a competitive physician recruitment environment, how do some organizations consistently outperform all others? 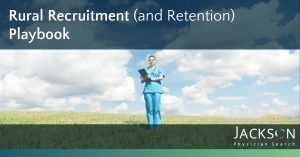 Learn how to recruit faster, more efficiently, and at less cost with these three smart moves for physician recruitment success. In a competitive physician recruitment environment, how do some organization consistently outperform all others? Learn how to recruit faster, more efficiently and at less cost. Overcome the unique challenges for your organization by finding candidates that fit. Attract candidates while being transparent about the challenges of the practice to ensure fit. Targeted recruiting efforts can help you reduce the number of interviews. Take a proactive and continuous approach to developing your recruitment process. Keeping your pipeline full can reduce your time-to-fill.